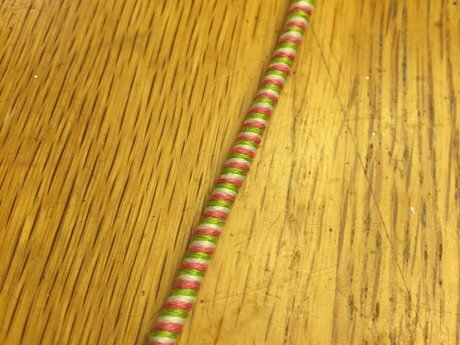 This rubber bracelet is made with rainbow colored rubber bands. Fits an average adult wrist. US orders only please. 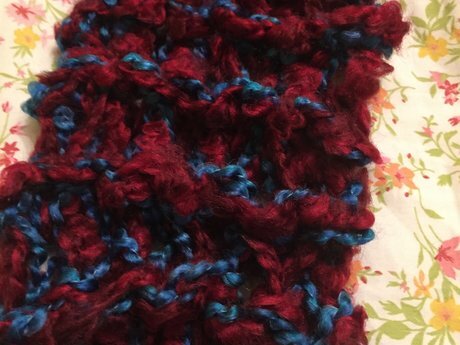 This scarf is 60 inches long, handknit with super soft, textured red and blue yarn. 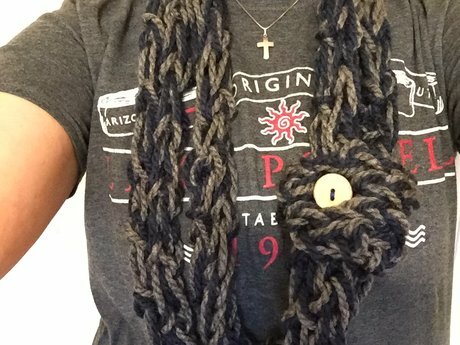 This doubled up infinity scarf is secured with a loop of knitted material and a handmade wooden button. The yarn is super soft, and will fit virtually anyone. Ships free to US addresses. 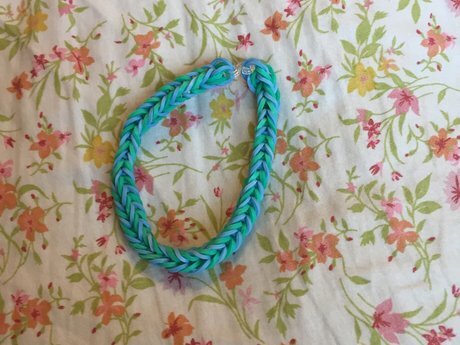 This rubber bracelet is made with green and blue bands. 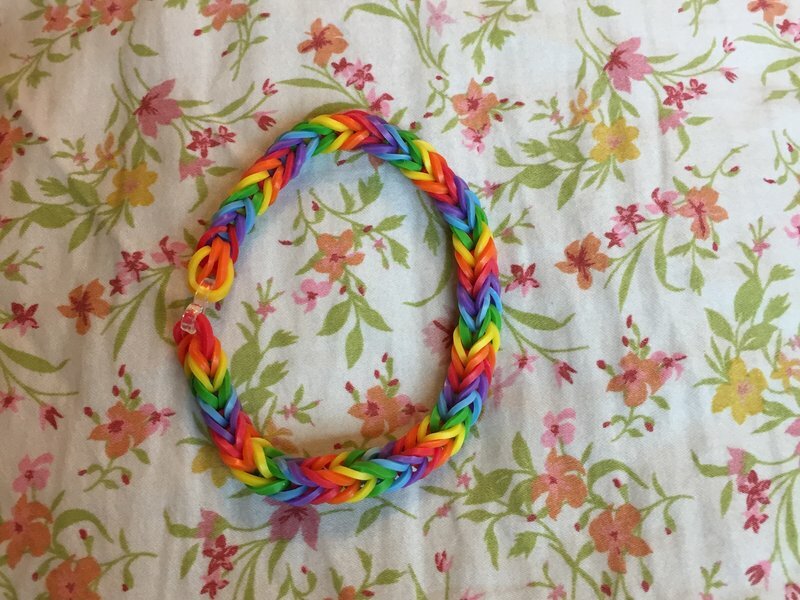 Fits an average adult female wrist. US orders only please. 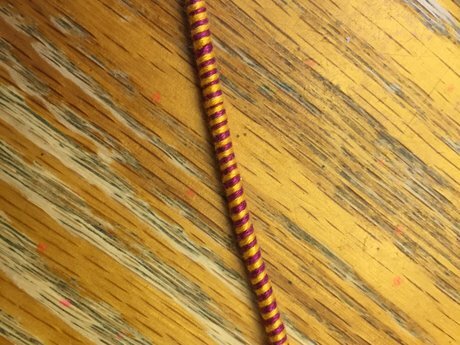 This 9 inch long friendship bracelet is made from 100% cotton and can be fastened by tying the straight ends through the loop end. US orders only please.